Katherine Lee Bates TLS o her stationary department of English Literature at Wellesley dated September 30, 1922 in fine condition. 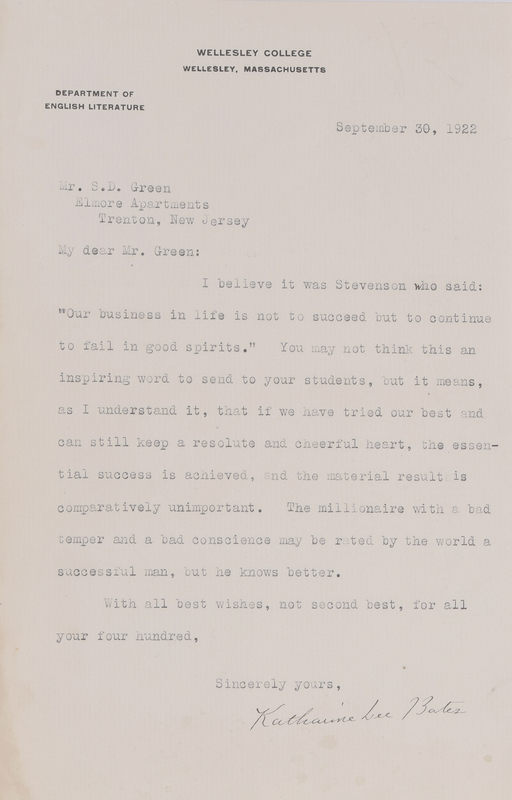 An interesting letter where she is giving advice to the students of a Mr. Green. 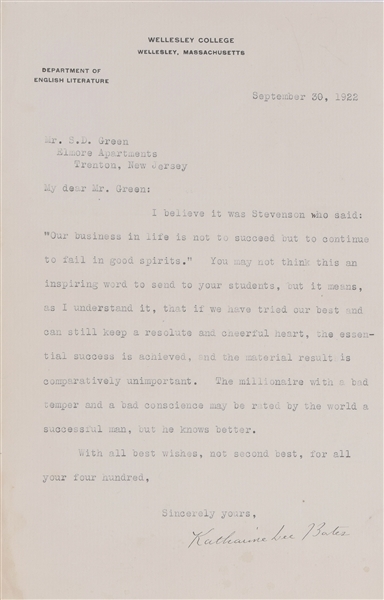 She quotes Robert Louis Stevenson, "Our business in life is not to succeed but to fail in good spirits".